R1999, Patrick O'Connor. 36", M. Blue-lavender self with cream styles tipped blue-lavender. Small white thumbprint signal with yellow center line. Noble Moment x Sea Consul. 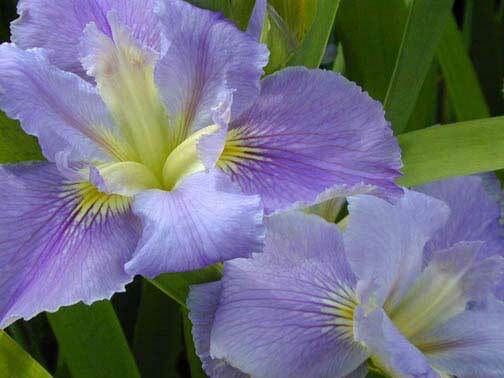 Excellent in the garden with lots of soft blue-lavender and contrasting creamy styles.